Hi ! 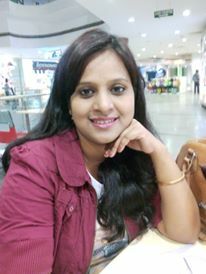 I am Sasmita . And thanks a lot for visiting my site. After completing my M.Tech from NIT Rourkela , I started teaching at an engineering college in Bhubaneswar. I always wanted to become a teacher & hence, I was enjoying my job as a lecturer a lot. However, I couldn’t work there for a very long period of time, as I married a few months later & thus had to leave Bhubaneswar. The new town was beautiful and peaceful but due to lack of good teaching opportunities I couldn’t do what I loved – Teaching. All of a sudden I started feeling a kind of emptiness in my life. It was then, that my husband suggested me to start teaching online. Hence, I started Electronics Post to pursue my love for teaching. With your love & support EP (Electronics Post) is growing very fast. You can use the contact form to get in touch with me. It is really very difficult to meet the expectations of my readers, yet I am trying hard to do justice to the site. Nevertheless, I must admit that it would not have been possible without you. Hi! 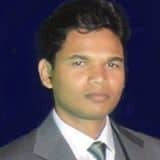 I am Jhasketan Garud, the CTO (Chief Technical Officer) of ElectronicsPost.com. Electronics Post is currently receiving around 200,000 page views per month & almost all of it comes from Google. Hence, as you have guessed by now, SEO (Search Engine Optimization) is one of my chief concerns. Apart from SEO, I also ensure that the readers of this site have a wonderful user experience.